Want to report a fake Instagram account but not sure how to do it? As with all social media platforms, Instagram has its own share of fake Instagram accounts. If you know how to spot fake accounts and are using Instagram regularly, you’ll constantly come across fake accounts. They are all over, and they are all using Instagram for different purposes. The problem, though, is that no-one likes them, and the battle against fake Instagram accounts is never-ending. Instagram is working hard every day to win the battle against the fake accounts, and you might want to contribute by doing what you can. Or maybe, even worse, you’ve had someone impersonate you and want to take the account down. In this article, you’ll learn how to report a fake Instagram account, but you’ll also get some background information about fake accounts, what they are, why they exist, and how you should deal with them. Sounds good? Let’s dig right in! First thing first, let’s sort out what a fake Instagram really is. The thing is that at its core, something fake is something that is trying to replicate something. 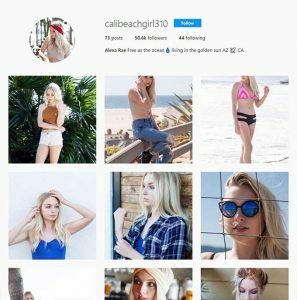 As such, a fake Instagram account is an account that tries to replicate another person – in other words, they set out to be something they’re not. In most cases, a fake account per this definition replicate other individuals and pretend to be someone they’re not – for different reasons which I’ll go more into further on. A fake Instagram account is also an impersonating Instagram account which sets out to be someone who they’re actually not. And since you are here, that someone may be you. But while this is the definition that is most close to the word fake Instagram account, on Instagram, the word is used quite broadly. As such, when you hear people talking about a fake Instagram account, don’t take for granted that they talk about an account replicating something/impersonating someone. In fact, a fake Instagram accounts also referred to as accounts that simply are trying to act real, while in reality, they’re nothing more than bots and robots. And in a sense, this also falls under the definition of replicating something and trying to be something they’re not. As such, a fake Instagram account is not only accounts on Instagram that replicate other individuals and act like they are them. It can also be a spam-accounts that are created for the sole purpose of spreading spam on the platform. We see them all over. Promotive bot accounts that are promoting fake followers, fake accounts that are used when the services that provide fake followers are selling their service and so on. Instagram is packed with fake followers and it feels like no matter where you go, you’ll meet a fake account. The least you can do to contribute to a spam-free and pleasant Instagram is reporting the fake accounts that you see. Reporting a user is fairly easy and in this article, I’ll be showing you how you can report a fake Instagram account step-by-step. If you’re here, that means you’ve read the tile and want to learn how to report a fake Instagram account. It is most common that people want to report a fake Instagram account which replicates themselves because obviously, this can make huge damage on them and lead to difficult consequences, but you may also want to report a fake Instagram account that spreads spam, or in any way are damaging the platform. When it comes to accounts on Instagram that replicate other people, potentially you, these are the ones you need to deal with first, because these can obviously make a lot of damage in a short period of time. Just know that I may use the definition of a fake account quite broadly and not just be referring to accounts that replicate other users. How to deal with fake Instagram accounts? This is the big question. Obviously, you don’t just want to leave fake accounts on Instagram to continue doing damage in different ways. You want to take the account down, but while you wish you had the possibility to, you can’t just go to an account and shut it down. But how do you deal with a fake Instagram account? Your best bet is to report them, as the title of this post suggests. But what is tricky with fake Instagram accounts that replicate others is that how should Instagram know if that profile belongs to you or anyone else? It’s impossible for Instagram to know if a personal account on someone is fake or not, because the fake account may very well just steal your pictures and upload them. As such, one way to take down a fake Instagram account is to report it. Now, does this mean that Instagram will take down the account? Unfortunately not, but you have a better chance of getting the Instagram taken down than if you don’t do anything, because if that is the case, chances are, it will stay up forever. There are two ways to deal with an account that is impersonating you. The first is to report it and the second is to fill out Instagram’s impersonator form. Since the form is specifically created for this type of fake accounts, chances are, you’ll have more success with this method. But the catch is that you may not know whether or not Instagram is will do something about it, and in that case, why not report the account as well. What can I do if someone is impersonating me on Instagram? What Instagram says. According to Instagram, they take safety very seriously, and they also say that if someone has created a fake account which presents do be you, you can report it to them by filling out this form. If you don’t have an Instagram account, you can fill this form. As you can see, there are several types of impersonation, so fill in the one that best reflects your situation. When reporting an impersonation, you need to provide Instagram with all the requested info. This includes things like a photo of your government-issued ID. This is necessary so that they can confirm it’s actually you that request to have the account taken down. Furthermore, you need to provide a link to the profile which is impersonating you, as well as evidence that the account is posting as you, which means links to images, comments, and other activity. Have in mind that Instagram only responds to reports that are sent to them from the person who is being impersonated or a representative of the person who’s being impersonated. This means that if you know someone to that is being impersonated, it won’t help if you try to report it. Also, you’ll be notified that filing a false report could constitute perjury. As such, you need to indicate that you understand and want to proceed by selecting the “Yes” button. Now, if someone is impersonating you, the best way is unarguably to fill in the form, but another way (or an additional way) is to report the fake Instagram account. Different from the other method, this can also be used to report fake accounts that aren’t impersonating someone but are still fake. 1. Firstly, you need to locate the fake account. 2. Go to their profile and tap the icon in the top right corner. You will then be presented with these options. 4. Tap the option that is the most suitable for the page you want to report. You can choose between ”it’s spam”, ”it’s inappropriate”, and ”it’s a scam”. For your case, if the account pretends to be you, you want to choose ”it’s a scam”. Note that you will automatically block the user that you have reported as well. Choose the option that is the most relevant for the account you are reporting. What happens when you report a fake Instagram account? When you report an account, Instagram Support will review your claim to see if the account does not follow the Instagram Community Guidelines. Your information will not be shared with the user you’re reporting. If the account is found to be violating a guideline, the account will be deleted. The more reports which are placed the more it becomes a trend. The department will take action on trends, and take each report very seriously. Now, this does not mean that the more you report an Instagram account, the higher the chances are that Instagram will take action. But if a lot of people are reporting the account, it sends signals to Instagram that it is important, and can thus make them deal with it. 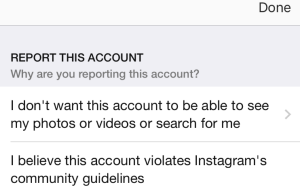 Only one report might not do the trick but if several people are reporting an account and it turns out that the account has in fact broken Instagram’s guidelines, it will be deleted. 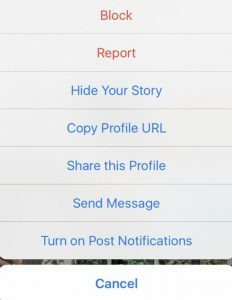 If you have notifications on, Instagram will give you a notification when they have proceeded with your report and taken action, for example, banned the account. Why do people impersonate on Instagram? There are several reasons that fake Instagram accounts that are created to impersonate someone are created, but fortunately, this is not the majority of fake accounts that are being created on Instagram. 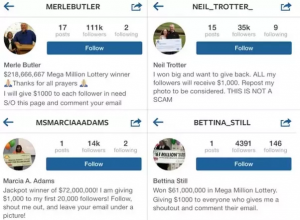 The majority of fake accounts created on Instagram are accounts that are created by various services to sell followers, spam and promotional something, or to sell engagement, such as likes and comments to other people. A common reason for person impersonation, though, is to satirize a public figure. Of course, there are some celebrities that put great emphasis on having people such as their agent to work to take these accounts down, but others just don’t care. Another common reason you’ll see fake Instagram accounts that are impersonating someone is to harass an individual. This is the most harmful type of impersonation on Instagram and unfortunately one that happens frequently.